As of the time of this writing most of the votes have been counted and it appears Britain has voted to leave the European Union. I’m personally shocked. But from a Jubilee Year 2016 perspective, a British exit from the EU holds up the possibility of maximum chaos. We look at these issues from the point of view of Jubilee 2016. As much as we would like to think [Brexit] is a straightforward sociopolitical event, we cannot. It is part of a larger story, one that involves increasing chaos as this year moves forward. I think the future of Europe is one that will be continually more chaotic and violent. Pro- and anti-EU forces will engage in a long-term battle that will leave not a single cultural element uncontested. This is already starting to happen. Within an hour of the results seeming to be clear, the vote set off a worldwide shock. The Japanese Nikkei fell more than 8% and circuit breakers kicked in to shutter trading. Hong Kong was down 4.67% and Australia was down more than 3%. Gold soared more than $100 in a span of 6 hours. And bitcoin also rose $100 from near $550, where it had fallen on a panic about an exchange closing for technical difficulties, to near $650. European stock markets held steady or slightly up while the London FTSE futures are currently down 5%. The British pound took the worst beating of all, falling 10% on the news. In the US, Nasdaq and S&P futures are currently down 5% and Dow futures are currently down 700 points. It is looking like it could be a very Black Friday on the US stock markets on open on Friday. We have not seen a vote like this be allowed in a long time… if ever. I’m enjoying the hell out of it. But unfortunately, all our analysis tells us this is far more complicated story than it seems. Jubilee 2016 is a time for putting in place the building blocks of chaos. So we can’t just write an optimistic article and leave it at that. Tonight, it appears as though a move away from a more centralized, global government. That’s a wonderful victory. We don’t know who is going to win. But unfortunately, there will be sociopolitical and economic unrest no matter what. It could impact stocks, bonds or world currency markets. Or everything all at once. And for those in Britain, especially, the changes could go on a for a while. Expect a false flag event to scare people into wanting to stay in the EU or, if by some miracle the vote isn’t rigged and Britons vote to leave the EU, expect a massive false flag in Britain soon after as repercussion. It appears that the murder of Jo Cox may have been the false flag to try to shock people into voting to remain, just as I suggested. But apparently it wasn’t enough. We’ve seen nothing but an unrelenting move towards global government for decades with nary a mis-step. Could it be that through the power of the internet and non-mainstream media the tides have been turned? I’d like to think so. 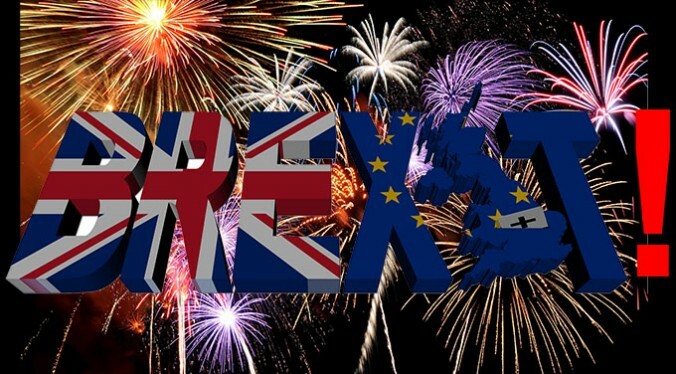 For the moment we’ll celebrate Britain’s release from the EU. This surely will get numerous other EU countries thinking about doing the same. Swedxit? Germexit (it needs a better name)? They’ll all be talked about as soon as tomorrow. “Texit” has even been trending as people in Texas are clamoring to get out of the clutches of the US federal government. But here at TDV we have a certain approach to our social and economic analysis, and it has served us well. We began last year with accurate predictions regarding Shemitah. And this year we have focused on Jubilee Year 2016 and the chaos gathering around us as October looms and Jubilee 2016 comes to a crashing, disastrous end. This war is far from over. Did certain forces plan Brexit for purposes of additional chaos? We can only wait and see what happens next. They will not go down without a fight. We’ll be covering this all extensively at the TDV newsletter (subscribe here). No matter the news, you can count on us to retain our discipline. Our personal feelings don’t affect our professional judgment. Shemitah Trends exist. Jubilee 2016 exists. We’ve expected chaos throughout the year and have predicted it, starting with the market crashes and major shootings earlier in the year. And we’ve retained our perspective and positioned TDV to take advantage of this chaos. The TDV portfolio is up well over 100 percent this year and our subscribers took fat profits in bitcoin as well – as we called the recent rise from $450 all the way up to $750. We’ve expected chaos no matter what happened with Brexit. TDV’s Senior Analyst recently issued an alert saying that whether it is Brexit or Bremain, the US stock market was due to turnover… and it looks like it just did… and all our positions look to be skyrocketing yet again. It was a good day for Britain and a good day for us. We don’t let our emotions get in the way, and you shouldn’t either. Our track record is undeniable and while Brexit is terrific news, the larger trends we’ve analyzed may actually be worsened by Brexit. You won’t read this analysis elsewhere. In fact that’s why you come to this website, for viewpoints you can’t find in the mainstream. These are deep waters and nothing is quite as it seems. Fortunately, Jubilee 2016 provides us with a road map and I’d like to share it with you. That’s why we’ve gained thousands of subscribers and why we’re doing so well. Again, if you haven’t subscribed to our newsletter yet, please do so HERE. Could this be the beginning of a real revolution? Has the mainstream media now been so discredited that they can’t stop the worldwide awakening going on, helped by countless alternative media sources that are exposing the truth? Could the Super Shemitah, or Jubilee, a time of “washing away”, mean a washing away of the evil globalist forces that have held sway for so long? There is a lot to think about after tonight! But, for tonight, we celebrate! It was a good day. Anarcho-Capitalist. Libertarian. Freedom fighter against mankind’s two biggest enemies, the State and the Central Banks. 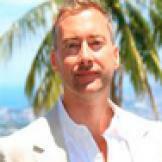 Jeff Berwick is the founder of The Dollar Vigilante and host of the popular video podcast, Anarchast. Jeff is a prominent speaker at many of the world’s freedom, investment and gold conferences including his own, the world's largest anarcho-capitalist conference, Anarchapulco, as well as regularly in the media including CNBC, CNN and Fox Business.